Eastern Partnership Civil Society Forum (EaP CSF) Steering Committee calls on the Council of Europe (CoE), and the Parliamentary Assembly of the Council of Europe (PACE), to consider the fate of more than 100 Ukrainian prisoners, currently held in either Russia or territories occupied by Russia, which include the Donetsk and Luhansk oblasts. What is more, as many as 68 Ukrainian citizens are behind bars for political reasons, a number that includes high-profiles cases of Stanislav Klykh, Bekir Degermanjee, Pavlo Gryb as well as Oleg Sentsov, whose health continues to deteriorate. 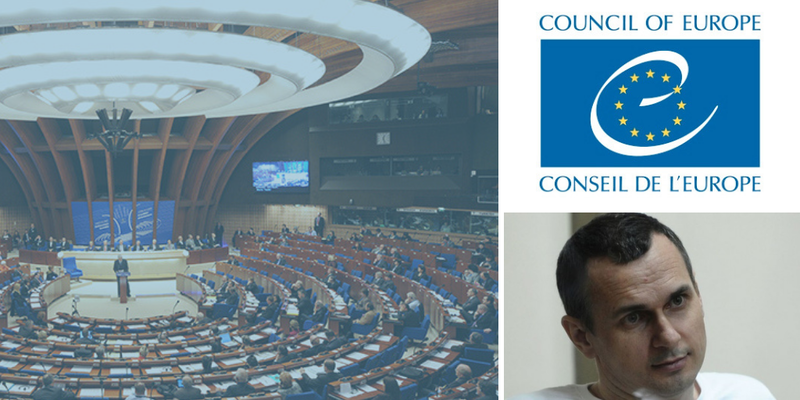 EaP CSF Steering Committee urges PACE to “use every legal means to force the Russian Federation” to meet Sentsov’s demand, that is to say, “free all Ukrainian citizens, held in Russian prisons on political charges“. This is the only viable solution, which would open up the possibility of Russian participation in PACE’s work, we read in the statement. Sentsov himself must be freed, and absolved of his charges, if there is to be any progress in further negotiations on this issue. The statement draws on an earlier appeal from 14 September, addressed to PACE – concerning a report, reviewing the grounds for sanctions, impeding the Russian delegation. “Since February 2014, when the Russian Federation occupied Crimea, Russian aggression against Ukraine has led to serious violations of fundamental human rights, freedoms and numerous crimes against the civilian population”, which has been widely criticised by the international community. Considering a number of United Nations (UN) resolutions, which range from Russia’s observance of human rights to Ukraine’s territorial integrity, this is still a fresh and pending issue that needs redressing. Unfortunately, the subsequent Minsk negotiations, which started in February 2015, do not provide appropriate format or platform for discussing “the matter of Ukrainian citizens illegally detained in Crimea and Russia”. In fact, we see a trend where these prisoners are being used as an “instrument of blackmail” by Russia in negotiations. There is also ample evidence to show that Russia has failed to comply with the 1949 Geneva Convention, the basis of international humanitarian law.